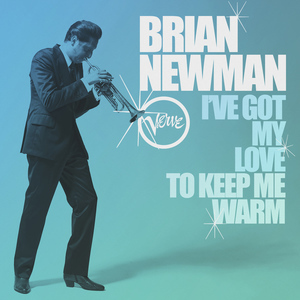 Jazz isn't what it used to be, but for trumpeter and vocalist Brian Newman, that's entirely the point and his debut album for Verve, SHOWBOAT, is primed to prove it. American trumpet legends like Louis Armstrong, Dizzy Gillespie and Lee Morgan are already a part of music history. They're revered and loved in the way they should be. As Newman explains, learning from them is paramount, but replicating them is pointless. "I don't want to do what's already been done," he says. "We are bringing jazz to another level but still referencing the tradition. Jazz shouldn't be placed in a glass jar." 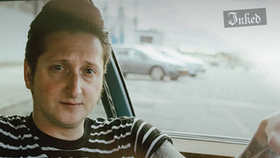 SHOWBOAT provides Newman with the opportunity to bust the art form out of its constraints, to allow the jazz influences of Miles Davis and Chet Baker to find room with his love of rock bands such as Nirvana, NOFX and Thin Lizzy. SHOWBOAT's eclectic track listing reflects Newman's hybrid tastes which includes the jazz instrumental "Spooky" which became a hit by the band Classic IV when lyrics were added, to "Pennies from Heaven," introduced by Bing Crosby in 1936, to a rousing version of Tom Waits' "Jockey Full of Bourbon." Those in the know, are aware that Brian is a long-time friend and colleague of Lady Gaga, and was the bandleader and trumpeter for her "Cheek to Cheek" album and tour with Tony Bennett. Gaga joins Brian on a smoky torch rendition of The Animals' "Don't Let Me Be Misunderstood." 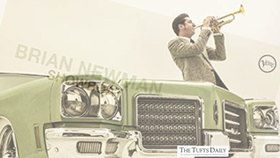 Growing up in Cleveland, the 12-year-old Newman envisioned his future as a New York City jazz musician when famed drummer Louie Bellson (player for the likes of Duke Ellington and Count Basie) visited his music class. "He went around the class and asked us what we wanted to do," remembers Newman. "I put my hand up and said, ‘I want to do what you do – I want to be a New York City jazz musician.'" In the young man's mind, it was written, but not everyone thought so. One teacher had him play 4th trumpet in the second-tier high school jazz band, and flatly told him he'd never make it. "I knew he was wrong, but it also made me realize that no one was gonna give me anything and I had to work hard to get where I wanted to be." 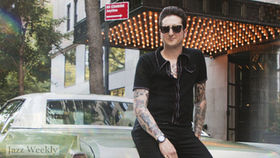 Newman honed his skills and enrolled at Cincinnati College-Conservatory of Music, but decided to leave music school in order to move to New York City in 2003 and pursue his long-term dreams. But just like everyone else in Gotham, Newman first had to first prioritize the short-term dream; making rent. "I put a suit on, and I must have walked around town asking people ‘are you hiring' for about three weeks!" He scored whatever bartending and waiter jobs he could, including one in the now defunct Lower East Side institution St Jerome's – a grimy rock and roll dive bar known for good times, good music and some good people. "That's where I first met Stef," recalls Newman. The "Stef" in question is known to the wider world as Lady Gaga. "She was a go-go dancer, a DJ, a party promoter. She did it all. I remember seeing her play once with a disco ball, two dancers and a track. Her family were there selling CDs!" It was during this time that Brian and Gaga discovered their shared passion for jazz as well as tattoos – the two spent many hours together getting body art and they both have the exact same tattoo on their arm of Miles Davis' trumpet based on a sketch done by Tony Bennett. Newman's hustle was just as strong. He did his fair share of sitting in at West Village jazz clubs like Smalls, Fatcat, Cleo's and seeing bands at the Village Vanguard. Random Craigslist gigs, wedding bands, recording sessions for hip-hop acts, nothing was too small during those lean early years in New York. 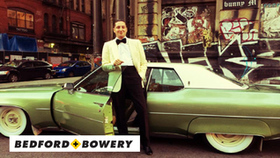 He also became a part of the city's burlesque scene, where he would meet his wife, Angie Potani, a former Miss Cyclone in Coney Island and the christening of their daughter was featured in the documentary, Gaga: Five Foot Two. 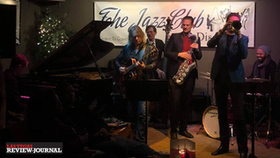 Eventually, Newman and his quartet settled into residency at the Plaza Hotel's famed Oak Room (where they recorded their 2012 release "Live From New York City") and a twice-weekly residency at the Gramercy Park Hotel's Rose Bar. Newman's buddy Gaga went on to sell millions and play stadiums all over the world, but she never forgot her old friends on the Lower East Side. Newman was occasionally called upon to add his trumpet to her live appearances, including a Today Show performance in 2010, and a huge Radio 1 Festival in the UK during 2011. Most recently, Brian got the chance to perform with Wynton Marsalis for performances tied to the US Tennis Open in NYC and he co-produced with Lady Gaga the track, "La Vie En Rose," featured in the film, A Star Is Born. But when she took some time off from the pop world to indulge in her love of jazz with Tony Bennett on 2014's "Cheek to Cheek," Gaga brought in Newman and his quartet to give the album a more modern dynamic. Both the "Cheek to Cheek" album and subsequent tour exposed Newman and the quartet to millions of new fans, but it also demonstrated their ability to Bennett's sons Dae, and Danny. Dae produced their debut album "Eyes on the City" and after becoming President and CEO of the Verve Label Group, Danny signed them to Verve for the release of SHOWBOAT. Songs like "San Pedro" captures the quartet's hard-earned musical abilities, and their thrilling power as a unit, while the catchy "Sunday in New York" showcases how Newman can bring the city he loves to life, with both his vocal warmth and his evocative lyrics. But this is a jazz album that makes a point of reaching far and wide. "You Don't Know What Love Is" is a lovelorn ballad that could touch fans of Ella Fitzgerald and Adele in equal measures. 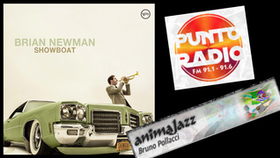 Newman and the quartet are determined not to be hemmed-in (or fenced-off) by their own technical talent and the recent years spent honing their skills performing in clubs in NYC made the timing just right to record this album. After all these years, Newman is exactly what he said he would be; a real musician in New York City. He's a fixture of the city's music community, but there's still so much more to reach for. Showboat marks the point at which Newman becomes someone that jazz agnostics living in far-flung corners of the world will love, just as much as the regulars at the West Village haunts he used to frequent. "We can make jazz accessible," concludes Newman. "That's what I want to do – and I am going to do that." And as you already know, when this guy sets his sights on something, he usually does it.